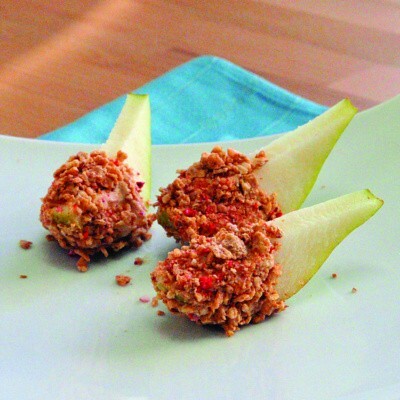 Try this easy-to-make, tasty snack that's pear-fect for kids and grown-ups alike! Spread the peanut butter into the center of the celery pieces. Place the pear chunks on top of the peanut butter. Serve on a plate and enjoy with your friends!